Day one of our big driving and camping trip went well, as we left Olympia for the day’s drive to Boise to visit family. Day two, however, hit a snag. 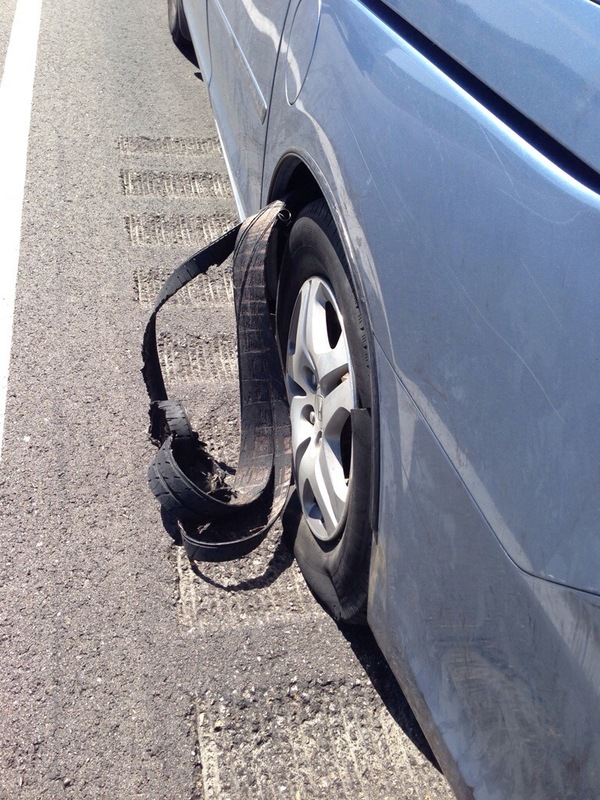 About 20 miles out on the way to Utah, cruising along at the posted 75 mph speed limit, we heard a pop, felt a jolt, and realized our rear driver side tire had blown. I pulled the car quickly over to the side, we called AAA, and after a short wait a tow truck came to bring us to the shop. Not another variation of the Yiddish proverb “man plans, God laughs,” that one moment you have your life all planned out and the next moment you find yourself unexpectedly sitting in a Les Schwab in Mountain Home, Idaho for 3 1/2 hours. Although that is true. But only this: we sometimes surprise ourselves at how we will behave in any given situation. When the tire blew what could have been a more dangerous situation was not because I was able to react calmly and quickly, much to my surprise. I say this not to laud my driving skills, but simply to say that I noticed a pattern about myself: that I tend to get anxious in the lulls but not in the times of crisis. Whether it’s a tire being blown out or being wheeled into the OR for surgery (or even public speaking or performing), I’ve tended to be nervous in the lead up but not in the moment itself. What does this mean? I’m not sure. But maybe it’s that we carry within us capabilities we don’t know we have. There are things to be nervous about, of course. But there is also our ability to weather that which comes to us with courage, strength, and clarity of purpose. We just may not know we can until we need to. And we will need to. And then it is back to the open road.